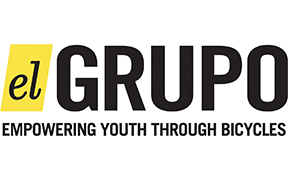 El Grupo empowers youth through bicycles by fostering values that support youth both on and off the bike, now and into their future. For over 13 years, El Grupo has taught respect, personal responsibility, and healthy life choices to thousands of youth, especially for at-risk youth. We believe in the inherent capabilities and vast potential of youth and help them tap into that with support from quality mentors. 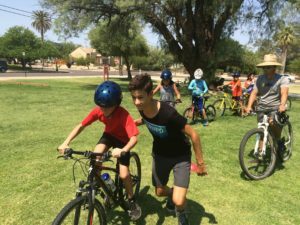 Our programs include year-round after school cycling and leadership development for youth ages 7 – 22, as well as bicycle education through summer bike camps, afterschool bike clubs or skills sessions, and community activities for all ages. We focus on the bicycle as a tool to be used for fun, fitness and transportation; and on a deeper level for discovering one’s own potential and developing healthy habits for the rest of one’s life. In this way, El Grupo provides the necessary framework to empower Tucson’s youth to develop skills to succeed in life. Giving to El Grupo Youth Cycling through the Arizona Tax Credit feels great and makes me feel like a “true donor”. Why? As a single mom of 4 children ages 21, 19, 17, and 15, I don’t have extra money to be able to write a straight donation check for up to $400. Just like everyone, I need to pay Arizona State taxes; however, with the Arizona Tax Credit I can choose which non-profit organization close to my heart I want my money to go towards and not just to the State of Arizona. I choose El Grupo Youth Cycling. This organization has been crucial to my family through my divorce and beyond for the last 5 years. Two of my children have graduated from El Grupo and are now prospering in out-of-state colleges while my third child is still on the team. All of my children have learned dedication, hard work, and the importance of giving back to the community through the various El Grupo activities. They all have had the opportunity to race and train throughout Arizona, out-of-state, and internationally. This travel teaches them so much about themselves, their community, and the larger world. They have gained self-confidence, self-esteem, and determination. My other son has done the summer bike camp and can ride confidently on the Tucson streets. Even I have learned so much from El Grupo about cycling, teamwork, and community. I cannot express enough how much joy and happiness it brings me to be able to donate to El Grupo through the Arizona State tax credit without which I could never be considered a donor. Donate today!